Most of us have heard the saying, "You Are What You Eat." If that is true, what is in your grocery cart each week? Do you buy healthy, nutritious food or do you buy a lot of processed food and junk food? Do you drink more soda than water? What do you grab when you want a snack? One way to save money on food is to skip the junk food. If you drink soda, don't buy it and substitute water instead. If you usually eat chips, substitute vegetables or fruits instead. If you buy processed box or frozen meals, try making your meals from scratch. For example, instead of buying a box cereal with the artificial preservatives and who knows what else in it, choose oatmeal instead. It doesn't take very long to make oatmeal if you are in a hurry. It costs less and will keep you full for a longer time. There are all kinds of recipes online to make your own meals. There are even quick, healthy options. If you buy a lot of meat, try substituting beans for some of the protein. 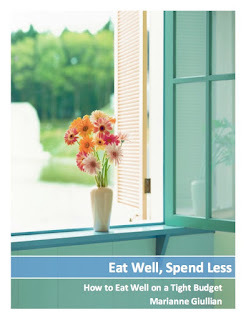 By doing some of these things mentioned above, you can free up money to have enough to buy good healthy food. If you want a snack, make it yourself. You will feel better and save money in the process.